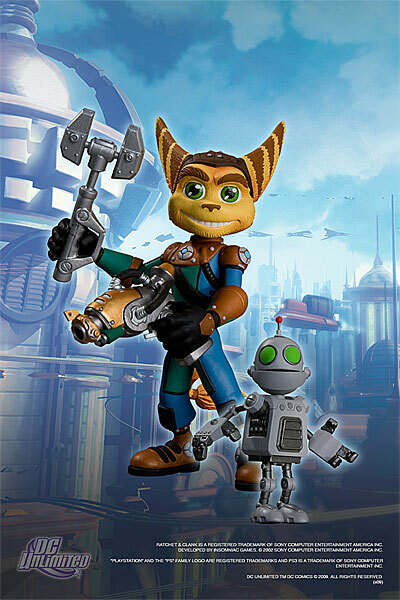 “Based on the best-selling, action-adventure series of video games available exclusively on the PlayStation® computer entertainment systems! 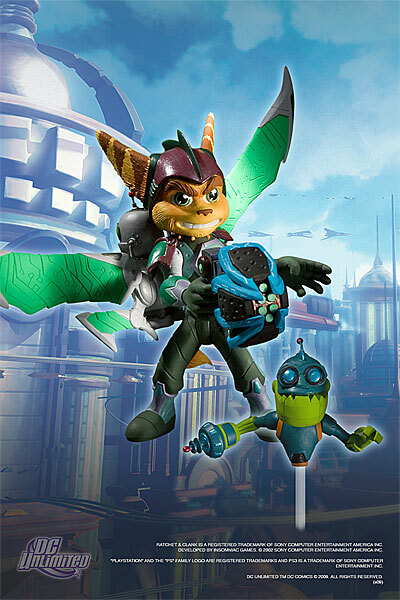 One of the best-selling video game series of all time and a worldwide favorite with consumers, the Ratchet and Clank franchise is best known for overpowered weapons, ingenious gadgets, interstellar exploration and outrageous humor. 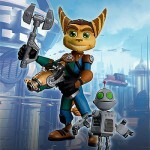 At the heart of this multimillion unit selling action-adventure saga are its two main characters: Ratchet, an impulsive, wrench-wielding intergalactic tinkerer who is the last Lombax in the galaxy, and Clank, his logical and witty robotic partner. 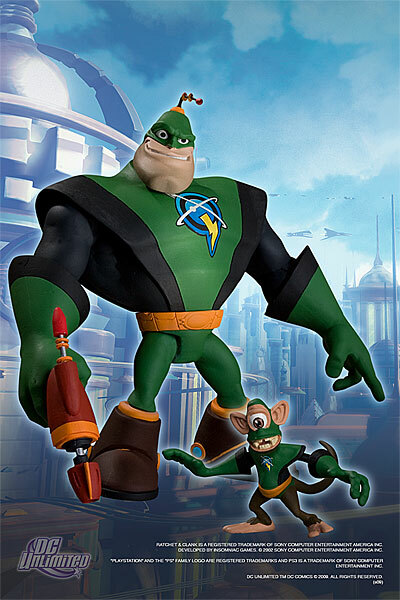 With the help of self-proclaimed “hero,” Captain Qwark, Ratchet and Clank have defeated most of the universe’s most vile villains. 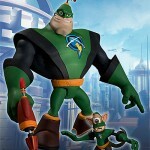 Yet they face an old nemesis, the diabolical Dr. Nefarious, who seeks to control time itself in their latest caper – Ratchet and Clank Future: A Crack in Time. You can see photos of all of the figures by clicking the headline of the story. YES!!! 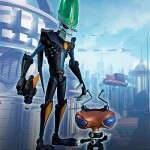 Mr. Zurkon will LIIIIIIIIIIIIIIIIIIIVE!!!!! 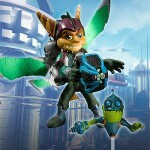 These look nice, I just may have to pick some of these up to stick in my game room. I saw him!!! At ToysRUs!!! Mr. 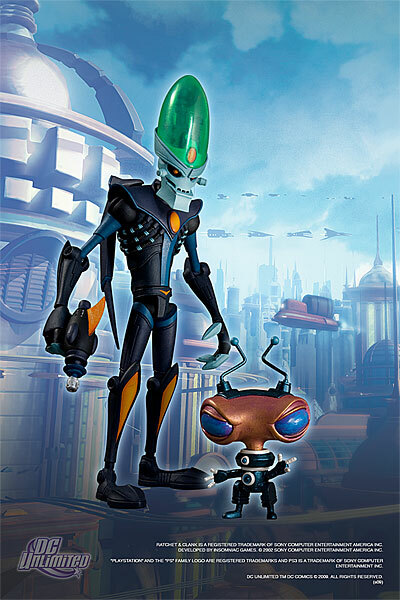 Zurkon!!!! They've been out for about two weeks or longer here.